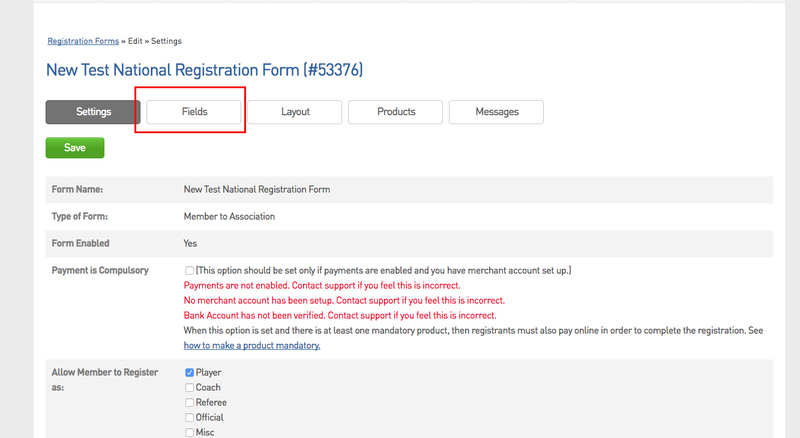 Clubs and associations have the option to allow members to upload a specific document or photo within the registration form that will, once registered, be uploaded onto the members profile. 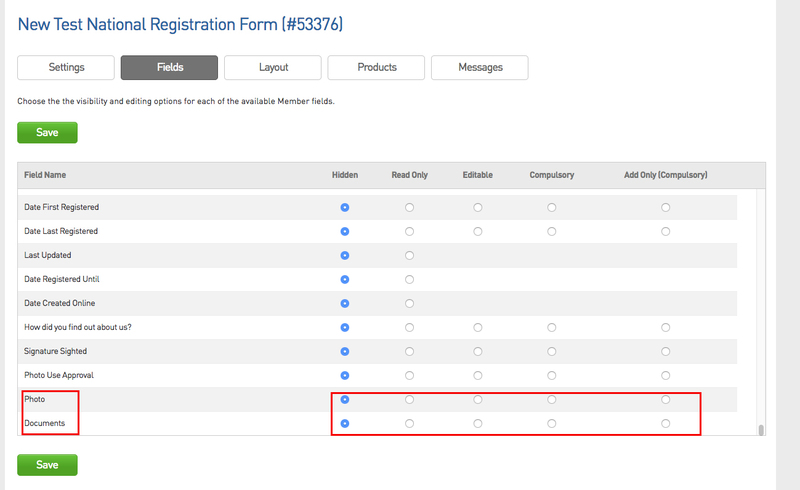 These two fields can only be found within the set up the registration form itself and will need to be configured to display on the form. Note: We DO NOT recommend using the Read Only or Add Only (Compulsory) settings as this won't allow members or admins to edit this information.